As we post this editorial, Seattle is today celebrating the 50th anniversary of the opening of the 1962 Seattle World's Fair, also known as the Century 21 Exposition. The fair looked optimistically to the future, with exhibits on space exploration and future cars. 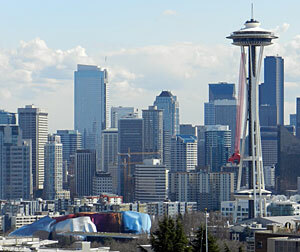 Built for the fair, the Space Needle and monorail became icons for the the city. Sadly, efforts to extend the monorail to the north and south have failed in Century 21. 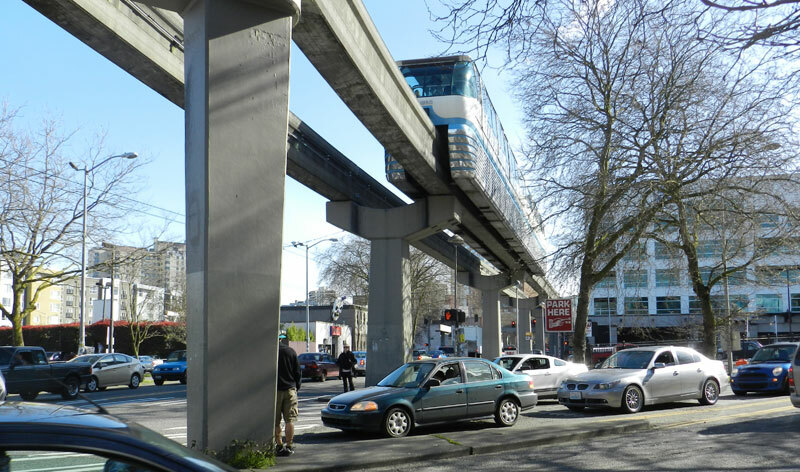 As we post this editorial, there are proposals in Seattle for light rail, subways and yet another try at a Ballard-West Seattle monorail. While I have absolutely nothing against a longer monorail in Seattle, I am suggesting a 'foot-in-the-door' approach might have a better chance of success. It would certainly bring benefits to citizens and visitors much quicker. Did I really say Extend the Monorail? I know those could be perceived as horrific words, considering the sad history of such efforts in the past in this city. 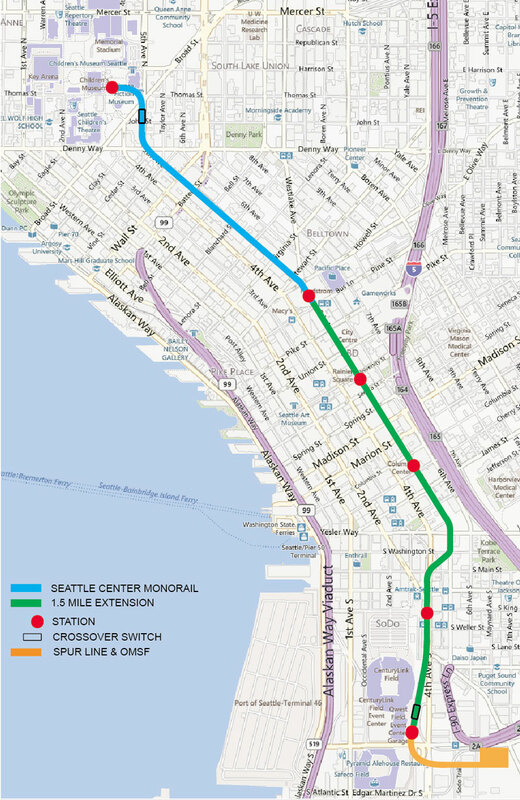 While I was very much a proponent of the 14-mile Seattle Monorail Project, in hindsight I believe the project attempted to bite off more than taxpayers were willing to chew. Voters certainly supported the concept, voting an amazing four times in favor of an expanded monorail. Voters were eventually coerced into bringing the entire project to a halt as a result of serious flaws in funding, errors in planning, along with less-than-enthusiastic support from City Hall. Despite that, the idea of extending the monorail remains a good one. Monorail technology is not dated or flawed, yet the expansion plan was. The venerable Seattle Center Monorail has now been operating for fifty years, and it continues to be one of the few transit systems in the world capable of turning a profit. Why not extend the monorail, but just a little bit? Saddest track end in the USA? My proposal is to extend the existing line merely a mile-and-a-half. There are a remarkable amount of important destinations to the south that, if extended this distance, would end the monorail’s unfair identity as ‘train to nowhere’ and greatly enhance the transit options in the core of the city. Alignment and station issues can certainly be argued and altered as needed, but here’s my proposal. 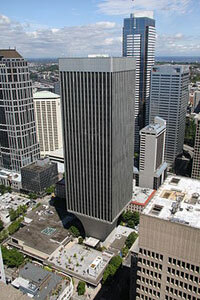 Extend the monorail from Westlake Center to the south and add four stations: Rainier Square, City Hall, King Street Station and Stadium. Some additional trains would be needed, and a Operations, Maintenance and Storage Facility (OMSF) could be built above one of the many bus parking lots nearby. Two crossover switches near the ends of the then 2.5-mile line will allow trains to operate in both directions at all times (known as a pinched loop). One short mile-and-a-half extension would vastly increase connections between transit lines, event centers, businesses, storefronts, restaurants and hotels. It would create potential for enormous use by both locals and tourists alike. Visitors would also get the ideal overhead view at the city as the monorail train carries them swiftly and safely above traffic, the same way Seattle Center Monorail has provided successfully for 50 years. Again, the current one-mile monorail is profitable. It stands to reason that this 1.5-mile extension would also be profitable and relieve additional traffic from the streets. It's a no-brainer. There are several reputable monorail manufacturers that can supply a system like the current line, including Bombardier, Hitachi or Scomi. They all have extensive experience in producing monorails with the same Alweg-type technology as Seattle Center Monorail. 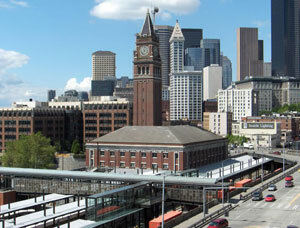 An open bid process could get Seattle a premium system at the best price. Monorail lines are built quickly and with minimal disruption. The fabrication of the track sections is done off site. Sections can be trucked in and lifted into place in the middle of the night. Seattle’s original Alweg monorail track was installed and ready for use in a remarkably short ten months. Yet what about the so-called ‘ugliness’ of the elevated track? Monorail technology has come a long way since 1962. New monorails being built in Mumbai, Sao Paulo, Riyadh and elsewhere take advantage of slender, aesthetically pleasing pylon and track design. The longest straight beams on Seattle’s 1962 monorail are 85-feet long. New technology allows spans longer than 100 feet long, which means less support structures along the route. Ugly is certainly in the eye of the beholder. Consider that the current three-foot wide beams create minimal shade below them and have not disrupted life along the alignment. The darkness of 5th Avenue comes from shadows of the many trees planted there in 1962, as well as the shadows of the nearby multi-story buildings. The track is narrow and the electric, rubber-tired monorail trains are virtually silent. During my own 25-year quest to experience and study the many monorails of the world, I’ve seen how they blend perfectly with high rises and bustling city environments. I’ve personally witnessed how they take hundreds of 1,000s of people safely to their destinations each day; all while giving passengers a pleasant, view-filled ride (far better than the dreariness of dark subway tunnel travel). 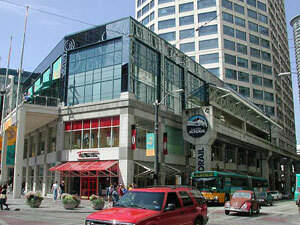 By petition and by vote, Seattle has shown itself to be the most monorail-friendly city in the USA. Locals have seen how monorail works and have supported monorail expansion four times at the ballot box. 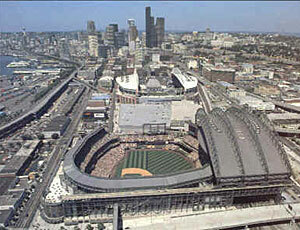 I suggest Seattle tries again, but this time limit the extension to a baby step, 1.5-mile. If it is successful as I am confident it will be, then there can be talk about extending it further. 50 years ago the world was dazzled by the Seattle Century 21 Exposition, and the monorail was a persuasive, demonstrative prediction of the 21st Century. Century 21 is here and new monorails are being built and expanded worldwide. 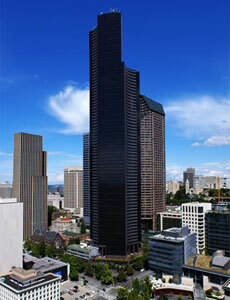 The time is right Seattle to follow its own prediction of this century and reap the numerous benefits. Extend the Monorail, just a little bit!